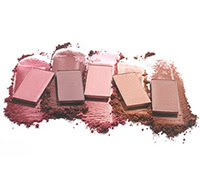 Mary Kay Mineral Cheek Color is so versatile that, no matter what your skin tone, you can start with a natural glow and then build fade resistant color as you like it. Order today(2-23-09) from My Personal Website and take 10% before midnight. visit from our dear friends the Skinners. There was a Wii challenge and we will just have to say we are EVEN. Sounds fun! I'm glad you were blessed with a great visit. Actually I beat Elijah in a best of 3 series. And Suzie never got an opportunity to play a fair tennis match. I am just joking around, we had an absolute blast hanging out.